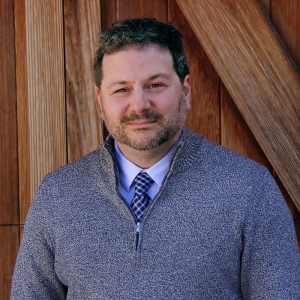 Eric LaRose is a seasoned writer and marketing project manager with more than 15 years of Web, marketing, journalism, social media and communication experience. Prior to joining the Vx Group in 2015, Eric was a journalist for a number of daily newspapers – winning six Wisconsin Newspaper Awards for business reporting, and served as the manager of interactive media at Lakeland College – developing the school’s website and social media, SEO and email marketing strategies. He has a bachelor’s degree in journalism from the University of Wisconsin-Milwaukee and an MBA from Lakeland College. Eric leads the Vx Group’s content creation for web, email and print materials. When he’s not developing award-winning, SEO-friendly copy for our clients, he spends time with his wife, Tracey, and two dogs, Rigby and Daisy, at their home in Grafton on the banks of the Milwaukee River. They also have two adult children, Alhanna and Brandon, and a new grandson, Desmond. Fun Fact: Eric wrote the ending to the Toxic Avenger Part 4, but has yet to receive credit or compensation.